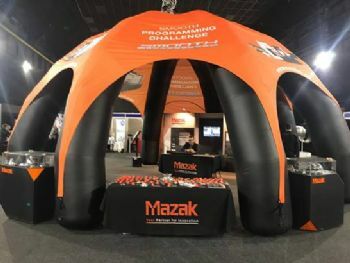 Worcestershire-based Yamazaki Mazak (www.mazakeu.co.uk) reaffirmed its commitment to the next generation of engineers with a third consecutive appearance at the Get Up To Speed with STEM (GUTS) event, held at the Magna Science Adventure Centre in Rotherham, at the end of last month. 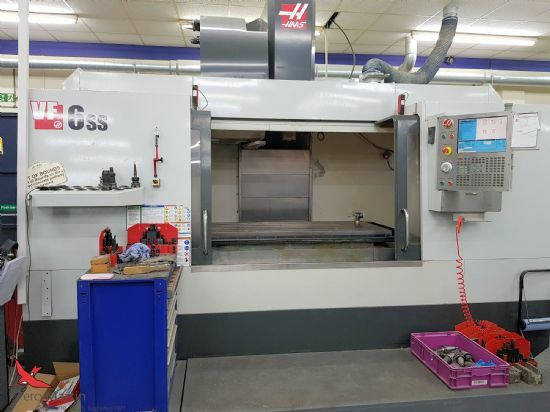 To encourage active engagement with the young audience, Mazak offered students the opportunity to solve an interactive puzzle on the CNC while wearing visual-assisted glasses and earpieces. Furthermore, participants could speak directly with a Mazak engineer based at the company’s European headquarters in Worcester to help them solve the puzzle, demonstrating the concept of connected manufacturing to the watching audience. Alan Mucklow, mnaging director UK & Ireland sales division at Yamazaki Mazak, said: “Given the well-documented skills shortage facing the manufacturing industry, it is vital that we proactively engage with students from a young age, to familiarise them with the wonderful – and at times, limitless – opportunities a career in manufacturing can deliver. “While we have a highly successful apprenticeship programme at our manufacturing plant in Worcester that spans production, service and business support, fostering an interest among pupils at an early age is one way of future-proofing the industry against an ageing workforce. “Moreover, as the first generation of digital natives, today’s pupils will be very well placed to help the manufacturing industry adopt and adapt the ever-converging spheres of connectivity and production.